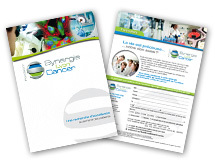 or a commemoration for the benefit of Synergie Lyon Cancer? Donations made by companies to foundations acknowledged as being in the public interest entitle these companies to a tax reduction equivalent to 60% of the sums paid, provided that they do not exceed 5 ‰ of turnover. If this threshold is exceeded, the tax administration allows the company in question to carry over the surplus for the five following years, provided that it does not exceed 5 ‰ of the turnover generated. Surpluses are imputed in the order in which they have been recorded. Sponsorship through competences entails making available personnel free of charge to a structure eligible for sponsorship. Thus the company proposes, within a specific framework, the free transfer of competences in favour of a project in the general interest, by making available voluntary employees during their working time. - in the framework of loaning manpower. An activity is considered as sponsorship if it is limited to the simple mention of the donator’s name without the addition of any advertising message. 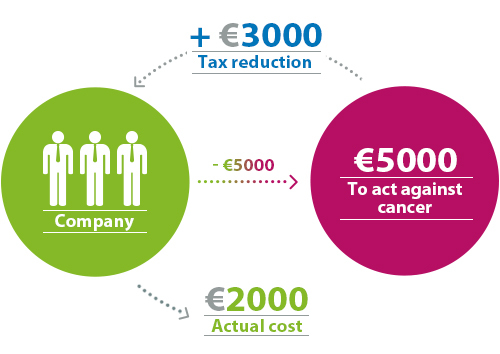 The tax administration recognises the existence of exchange in a sponsorship operation, provided that a marked disproportion exists between the sums given and the exploitation of the service provided. The amount of exchanges is now limited by jurisprudence to 25% of the total amount to the donation.